Learn how the right equipment can improve your capacity to innovate. 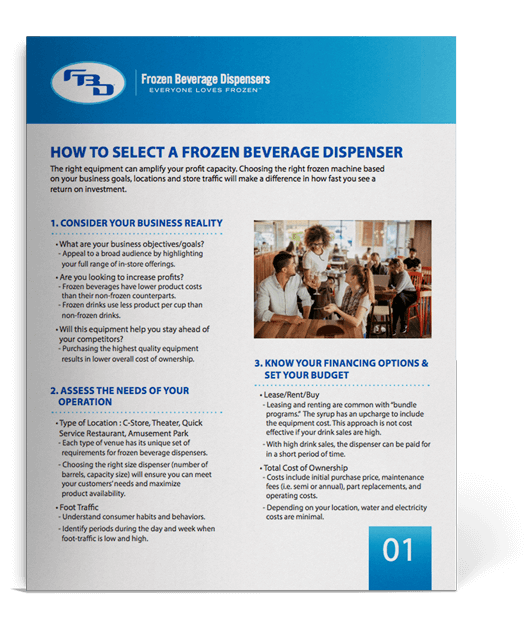 Download How to select a Frozen Beverage Dispenser? And learn how to generate the maximum profits possible. 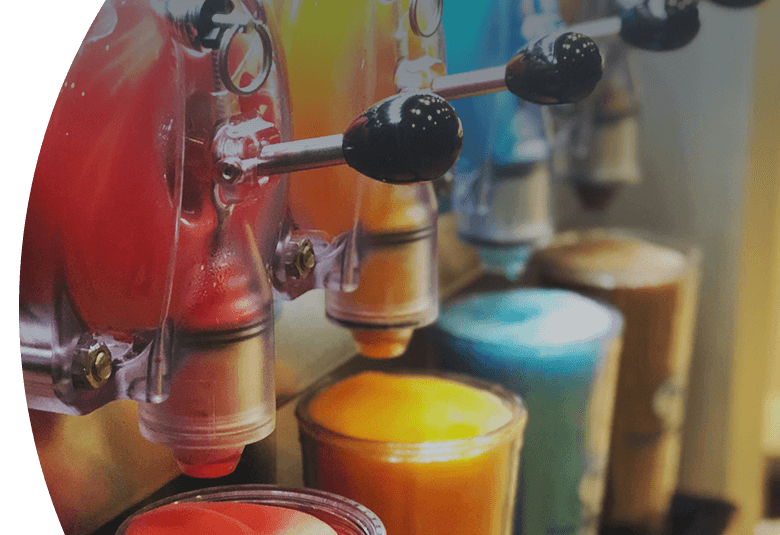 Choosing the right frozen machine based on your business goals, locations, and store traffic will make a difference in how fast you see a return on investment (ROI). 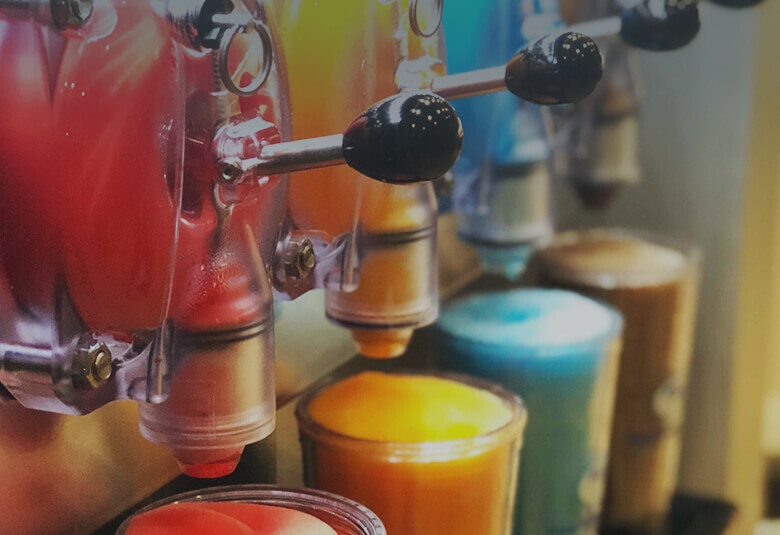 Know which 7 factors you must consider before purchasing a Frozen Beverage Dispenser. Don’t let hidden costs diminish your Frozen Beverage Profits.